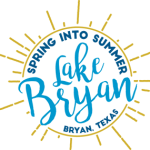 Bryan Texas Utilities (BTU) is hosting the first ever Family Fall Fest at Lake Bryan on Saturday, October 20, 2018 from 4 PM to 9:30 PM. 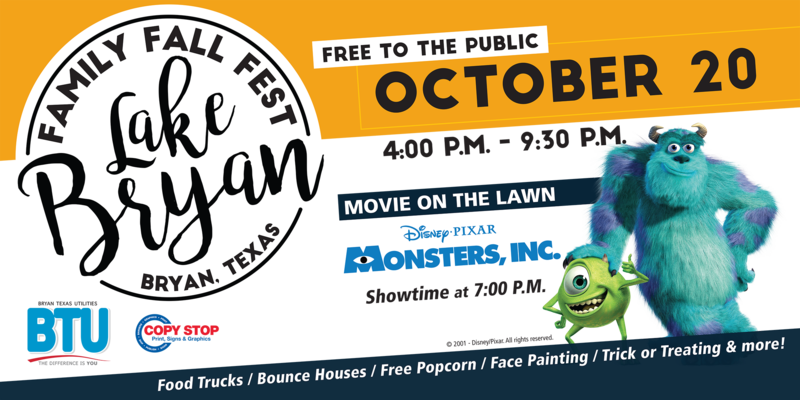 This free event is open to the public and includes bounce houses, face painting, nonprofit and City of Bryan vendors, trick-or-treating, rides on Paw Paw’s Party Train, and more. The event will close with a screening of Monsters, Inc. on the lawn after dark. Food is available for purchase from food truck vendors including JLM Chicken and Waffles, Sno Monkey, and Taqueria Puro Potosino. Free popcorn will be provided for the movie and guests can purchase kettle corn from Sweet Pops Kettle Corn. 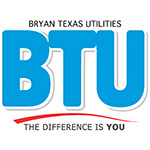 For more information, please visit the event page on BTU’s official Facebook (@BryanTexasUtilities).